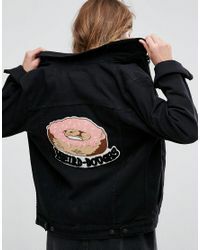 See more ASOS Casual jackets. Badge by asos collection. 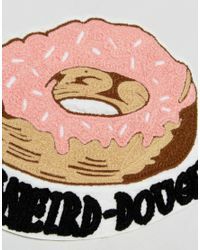 Textured patch. Iron-on design. 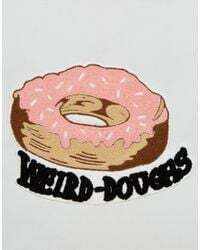 Weird-doughs' motif. 50% nylon. 40% polyester. 10% epoxy. Score a wardrobe win no matter the dress code with our asos collection own-label collection. From polished prom to the after party. Our london-based design team scour the globe to nail your new-season fashion goals with need-right-now dresses. Outerwear. Shoes and denim in the coolest shapes and fits.